Born in Hastings County, Ontario on 22 February 1885, son of Charles Inkerman Baragar (1858-1936) and Emily Bell (1861-1942), brother of Frederick D. Baragar, at an early age he moved with his family to a farm near Elm Creek. He attended the University of Manitoba and worked as demonstrator in physiology with Dr. Swale Vincent (1909-1912) and was a laboratory assistant for S. J. S. Peirce at the Winnipeg General Hospital (1912). He received BA (1910) and MD (1914) degrees then trained under David A. Stewart at the Ninette Sanatorium. There he met his future wife, nurse Eugenie Ledoux, marrying her in France in 1918. In February 1915, he enlisted in the Canadian Expeditionary Force, initially going overseas with the 27th Battalion but later transferring to the Canadian Army Medical Corps where he worked at military hospitals at Folkestone and Taplow, the No. 3 Casualty Clearing Station, No. 1 Canadian General Hospital at Etaples, and the Canadian Special Hospital at Lenham. At the end of the war, he spent a year studying psychiatry in London. In 1919 he was appointed Medical Superintendent of the Manitoba Hospital for Mental Diseases at Brandon but was given a leave of absence to do postgraduate work in Mental Hygiene and Psychiatry at Boston, Massachusetts while Joseph B. Chambers acted in the position until his return in 1920. The facility grew into a well-equipped, modern hospital during his ten-year tenure with the founding of a training school for psychiatric nurses, the construction of a female nursing staff dormitory and a colony building, a pathology laboratory, electrotherapy and hydrotherapy equipment, an x-ray machine, and an acute psychopathic hospital. 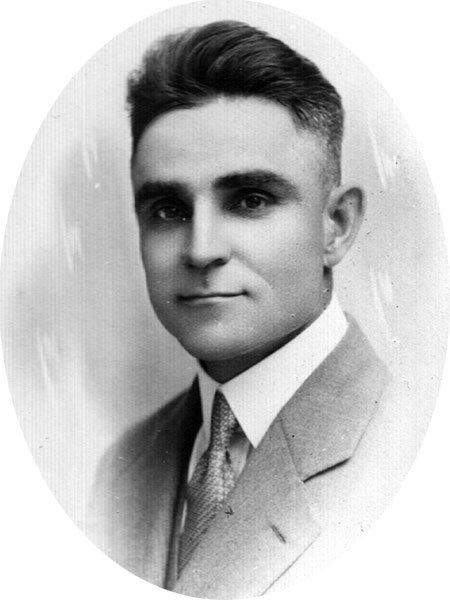 While living at Brandon, he served as President of the Brandon Rotary Club and, in 1928, helped to commemorate the site of the Brandon House fur trade post. In the later years of his administration, he lost the respect of his medical staff as a result of frequent clashes over their union activities. Largely exonerated by the report of a Royal Commission into conditions at the hospital, in 1929 he requested and received a one-year leave of absence to do neurological research in England but was recalled to Canada by his wife’s serious, and eventually fatal, illness. In September 1930, he moved to Alberta to become Commissioner of Mental Health and Superintendent of the Ponoka Provincial Mental Institute. He died of pneumonia at Edmonton on 8 March 1936 and was buried there. His library of medical books was donated to the Manitoba Hospital for Mental Diseases. He is commemorated by the Baragar Siding on the CPR Rapid City Subdivision. In 1939, it was proposed to rename a section of First Street North in Brandon in his memory but the paperwork was never formalized. “Dr. C. A. Baragar dies in Edmonton hospital Sunday,” Winnipeg Free Press, 9 March 1936, page 5. “Memorial service held in memory of Dr. C. A. Baragar,” Brandon Daily Sun, 16 March 1936, page 5. Obituary, American Journal of Psychiatry, Vol. 93, No. 3, 1936. “When Love and Skill Work Together:” Work, Skill and the Occupational Culture of Mental Nurses at the Brandon Hospital for Mental Diseases, 1919-1946 by Christopher Patrick Alan Dooley, MA Thesis, University of Manitoba, 1998. “The forgotten history of First Street North” by Graeme Bruce, Brandon Sun, 28 June 2014.